Sara is a holistic nutrition and wellness coach based in Richmond, VA. Her practice is inspired by her passion of educating others how to live healthier lives. Sara truly believes in the power of real, whole food nutrition. Her recipes are not only delicious and easy, but health supportive to leave you feeling nourished and satisfied. 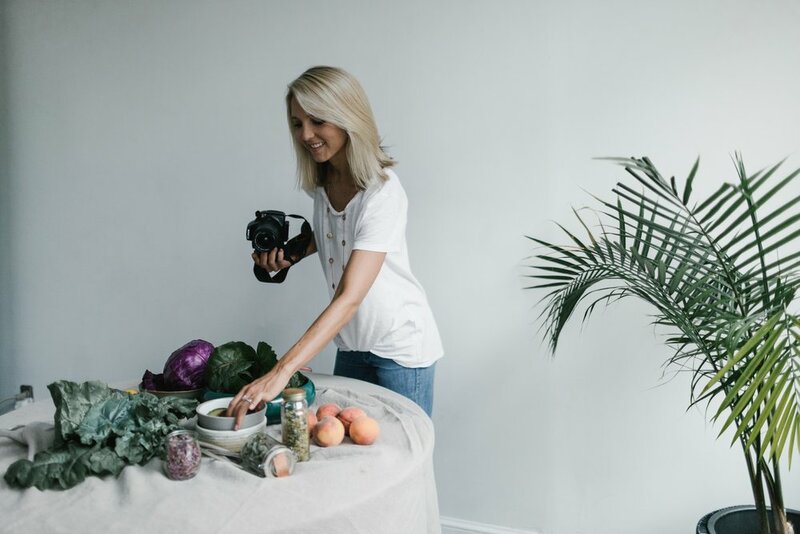 Sara combines her passion for nutrition and cooking with her love of photography. She offers recipe testing and food photography services for bloggers, food companies, media, and cookbook authors. An online program dedicated to help you reduce cravings, increase energy, and feel nourished from the inside out. Dedicated to help you make the shift from restriction and scarcity to abundance and beauty with your food, your health, your self. Sign up with your email address to receive recipes and information on nutrition and holistic health. "I now have tons of energy! Sara teaches you a lifestyle that works for you and your body...She is so approachable and her knowledge is endless!" Food is fuel, but it is also more than that: It is nourishment, healing, comfort and celebration. We can have such a beautiful relationship with healthy food if we change our mindset. We need to look at it in terms of how it can benefit us nutritionally. I truly believe in the power of real, whole food, which is why my recipes are not only delicious and easy, but health supportive to leave you feeling nourished and satisfied. "I now have a better understanding of what my body needs, and Sara gave me the guidance and support needed to reach my health goals!" I have combined my love of cooking and creating in the kitchen with that of food writing and photography. I offer freelance recipe testing and/or photography services for bloggers, cookbook authors, food companies and media outlets. I am also available to provide written work, which is supported by years of writing on a range of food, nutrition and health-related topics.